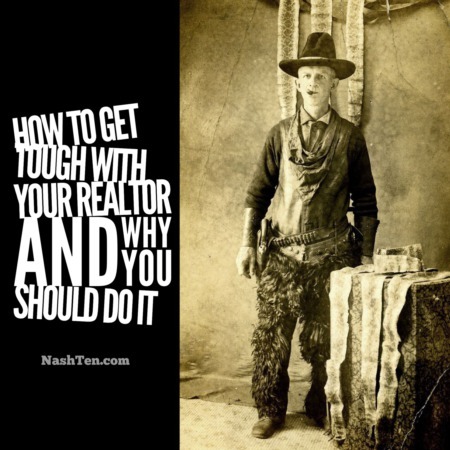 At the core of every great agent is the ability to solve problems that bring our clients one step closer to meeting their goals. 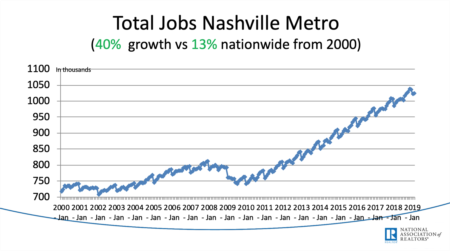 One common problem that I see with people relocating to Nashville is trouble with selling their current home located in another city. They get their home on the market, have a few showings and then everything comes to a screeching halt. Being in the REO (foreclosure) business for 10+ years, I have seen my share of troubled properties. What I’ve found is that most homes do not sell for these three reasons. The home is overpriced when compared to others that have recently sold or are currently listed. Marketing does not show the home at its best or is not reaching the target market. Problems that are foreseen or discovered during marketing are not being solved. As a homeowner, how can you address these three issues? It would be impossible to do justice to this topic in one short story. For today, let’s focus on pricing. We will get to marketing and solving problems on Thursday and Friday. Every homeowner cringes when their agent mentions price. So why would I start there? Pricing is usually the easiest and quickest to fix. If we discover that price is the issue, we would want to correct that before further marketing the home. And if we discover that price is not an issue, we can set it aside and start to focus on the other two issues immediately. Since most homeowners are not experts in pricing, we need to have a basic understanding of how to value a home. First, let’s start with comparable homes. You should have your agent gather the MLS/Tax data for every home that meets all of these requirements and review them. Currently listed for sale, pending or sold within the last six months. Falls within +/- 300 SF of the size of your home. Is within +/- 10 years of the age of your home. Is located 1 mile (or less) from your home. For obvious reasons, these guidelines will not work for every home. If you cannot find a minimum of three listings and three sales, you may have to increase your limits listed above. Of these comparable homes, which ones are most similar to your home? The most similar homes will be our focus. Have your agent set up a showing and visit the ones that are currently listed for sale. Take off your rose colored glasses and see the differences between your home and theirs. We will need to do the same thing for the recent sales, except we will not likely be able to visit the homes. We will need to compare the using the photos and descriptions. The sales are most important because they show where the market agreed to a price. For each of the significant differences, have your agent walk you through their process for making price adjustments. For example, let’s say the most similar sale has four bedrooms to your three. We will need to subtract from the price of the comparable property to compensate for the extra bedroom. Do this for each and every significant difference between your home and the most similar homes. After adjusting the price of your comparable homes, you will have greater insight on where to price your home. If your home is in a rising or falling market, you may need to make price adjustments based on time. If the most similar sale is six months old and prices have risen 5% since in the last six months, then you will want to adjust the price up 5%. It is best to do make an adjustment for a rising/falling market after you have made all of the other price adjustments. The final adjusted price will be close to the expected sales price of your home. Based on this information, you should set your new list price. At this point, do not assume that your problems are over. Look at your marketing and problem solving next. See you on Thursday, where we will take a closer look at marketing. The information herein was requested by a member of this group. If you want your question answered here, then take the 30-second survey here. It’s only five, quick questions and I will be forever grateful.